Yesterday I put together a list of common federal income tax deductions, so today I thought I’d follow up with a list of commonly missed tax deductions and/or income adjustments that I dredged up from various corners of the internet. While there’s a bit of overlap with yesterday’s list, there are a number of new items, as well. Non-cash charitable contributions. As I’ve noted in the past, you can get yourself a nice tax deduction by clearing out your house and donating all of that extra stuff to charity. Just be sure to get an itemized receipt, and if any individual item is worth more than $500, get it appraised. Note that, if you drive your car for charity work, you can also take a mileage deductions. New points on refinancing. Any points that you pay when you refinance can be deducted (on a monthly basis) over the life of the new loan. Old points on refinancing. All unamortized mortgage points left over from prior years are deducted all at once if you end up refinancing your mortgage in any particular year. Moving expenses to start your first job. While job hunting expense while search for your first job are not deductible, your moving expenses are, even if you don’t itemize. If you move more than 50 miles, you can deduct expense related to getting yourself and your stuff to your new location (including mileage). State sales tax. This deduction makes the most sense for people that live in states without income taxes because you have to choose between the two (sales tax vs. state income tax). The good news is that you don’t have to save receipts all year long to get this one — you can opt to use a tabled value instead but, even if you do, you can still claim certain major expenditures (such as sales tax on a new car) as long as you have supporting documentation. Health insurance premiums. Health insurance premiums, along with longterm care premiums, get added to your unreimbursed medical expenses and will be deducted to the extent that they exceed 7.5% of your AGI. But self-employed individuals can deduct 100% of their health insurance premiums if they’re not covered by an employer-paid plan. You don’t even have to itemize to take this one! Child care credit. If you pay someone to take care of your kids such that you can work you might qualify for a tax credit. This is true even if you claim your childcare-related expenses through a tax-favored reimbursement account at work. The reason for this is that such accounts are capped at $5, 000 while expenses up to $6, 000 can qualify for the credit. Educator expenses. Qualified educators can get a $250 “above the line” deduction for as much as $250 for the purchase of educational materials. Here again, you don’t have to itemize to take advantage of this one. Student higher education expenses. If your AGI is less than $65k ($130k on a joint return), you can deduct as much as $4, 000 for higher education expenses. And like self-employed health insurance premiums and educator expenses, you don’t have to itemize to take advantage of this. You should also check to see if you qualify for the Hope and/or Lifetime Learning credit, as these can end up being more valuable than the deduction. Investment and tax expenses. Investment and tax planning expenses are deductible as miscellaneous itemized expenses to the extent that they exceed 2% of your AGI. Don’t forget about things like safe deposit box rentals, brokers fees, IRA custodial fees, investment publications, long distance calls to your broker, etc. Retirement tax credit. Low and moderate-income earners can get a credit of as much as 50% of the first $2, 000 that put into a retirement account. Yes, a credit, so it’s up to $1, 000 off the top of your tax bill. Plus, you still get the tax deduction that would otherwise be associated with the contribution. Contribution to your 401(k), 403(b), SEP, Traditional, or Roth IRAs qualify, though your AGI has to be less than $25k to qualify ($50k for joint filers, and $37.5k for head of household). What’s the Difference Between Tax Exemptions and Tax Deductions? Does it make any financial sense to take estimated taxes, invest them during the year, and just pay the tax penalty at year’s end? I was told that if you move more than 50 miles from your home that something like 65% of your gross income is not taxed. Do you know anything about this? Nice job with your suggestions on possible missed deductions. I have written similar suggestions in the past myself. I have always been a student of finances and also being a Realtor helps with knowing all the tax deductions. I refinanced my home in 2009. Can I deduct the broker’s fees on my Sched A? I recently purchased and had installed a new, more energy efficient water heater in my home. Is there a deduction for this energy-efficient upgrade? I work full time and my husband is disabled. My son lived at our house all last year and collected unemployment ($10,000) but helped take care of his father. I paid all of the bills. Is there any type of deduction for this type of situation? We purchased 2 used cars in 2009. 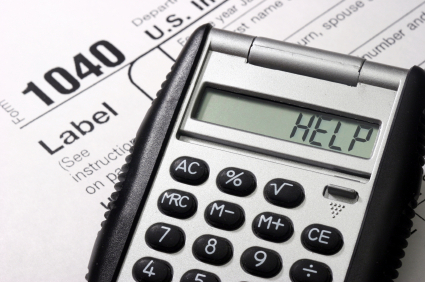 Any idea what, if any, tax deductions can be taken? Also, my company reimburses me for .26 cents per mile for business travel. Can I deduct the difference between the .26 cents and the IRS max? by the way…i also pay rent to my parents, and have a new car i bought in 2008. plus can i deduct anything i buy for my son by any chance? i just dont know how everything works and if u could please find someone to help me with a list of things i can use to get money back at the end of the year in a way i can understand….it would greatly be appreciated!!! ok, i am really dumb when it comes to this stuff.i dont even understand the terms you use! i am a single parent and went to school last year and paid the full amount. i know u can get deduction? i think if i donate clothes and things to the good-will or places like that and for childcare. could u please help my understand in understandable words=) what all i can use to deduct and get more money back ect.thank you so much! sweet. so useful on my math project!!!!!!!! I calculated the sales tax deduction last year: added receipts just for a remodel I did. The deduction was triple what the table allowed. This year I added the tax from the few receipts I saved, on credit card bills, and on utility bills (the sales tax I pay on utility bills alone is nearly half the amount from the tax table). Again, this amount was triple that on the tax table. Generally, rent is not deductible, at least on the Federal return. But I can think of at least a couple of special instances where you might get a partial deduction. One is if you had a business operating out of your apartment or a business which allowed you to claim a home office. If you were making a profit, you could take a deduction for this, which would include at least a part of your rent. This would be a business expense and would be claimed on the Schedule C.
The second is if you have a job which entails the use of a home office. In this case, you would claim the deduction on Form 2106 which would only benefit you if you itemized on Schedule A and if the expenses claimed exceeded 2% of your adjusted gross income. Realize that the home office deduction is one that is abused by many taxpayers and is one of the first things the IRS will look at in an audit. It may even flag your return for an audit. That said, if you are entitled to it and can support it, you should claim the deduction. Does anyone know if you can claim a deduction for paying rent if you don’t own a home? I am trying to help my daughter figure this out, she rents an apartment — I own a home and am not sure. Thanks! Last year i had to pay on my federal income tax because of improper witholding. Can i claim that as a deduction this year? sold property, received money from transaction paid taxes on it already the yr we obtained it. Put it in a New York Life anuity. 3 yrs. later needed money for several hospital stays ,operations, bills, home improvements. each time we withdrawal money we get penalized on money we withdrawal ,we have already paid the taxes on when we recieved it. Will the money that we withdrawaled have to be claimed as income.. Please say NO!! I am retired with pension plus social security. I am raising 3 grandchildren with legal custody. Last year I filed easy filing and got a $ 630.30 refund. I brought a house in January 08 and a car in July of 08. Because of these purchases I filed the long form and was told I will only get back $23.00. How come. This is the same accountant that I’ve use for the past six years. In 2007, I subcontracted building my own house. I was able to deduct 9% on $150,000 of material cost. there is a calculator for sales tax (it is on the irs website, I’m pretty sure.) You input the state you live in, if you’ve moved, when you moved, any extra sales tax(ie car purchase) and it gives you the sales tax number. atty: I wouldn’t want to be in your shoes in the event of an audit. While I agree that your approach is defensible in a common sense sort of way, I’d be willing to bet that the IRS would want documentation. The good news (as noted above) is that you can combine the tabled value with certain major purchases, which gives you the best of both worlds (we’ve done this in the past). I’ve taken the state sales deduction on an actual basis. As nickel noted, if you live in a state with income tax, it generally only makes sense if you bought a car, remodeled, etc. The way I did it was as follows: I took my total credit card bills (we put most everything on the cards) and used an average tax rate (I think 7.25% in my case). Then I made an estimate for cash – though in hindsight, ATM withdrawals would have been a better proxy than a finger in the air. After all – if you took the cash out, and you don’t have it now, then you spent it! I think this is a reasonable approximation and is defensible. Without a major purchase, it probably won’t be worth it. I did not know that we could claim any broker fee’s on our income tax. Could I go back to 2005 and beable to claim those on my 2008 income tax. I would imagine it isn’t just refinancing the mortgage, but paying it off as well? Small difference, but worth noting, I’d imagine. That’s a really helpful list you’ve put together — I doubt most people would take the time to find out that they’re eligible for so many deductions. Good point! Now, you gave me an idea to compute my tax refund. I’m not that long in this company, but that will be good because they cannot fool me with my taxes. I can complain to them the moment I found out that theyâ€™re fooling me. Thanks! Brandon, I had a very similar experience to you – our tax due was sitting at roughly $1500. I knew I could deduct tuition and fees, but I was under the impression I could only use money we actually paid to the school and not loans we used to pay school, but I was wrong – loans can be included in the “money used to pay for school” total. We’re now sitting at a refund of over $400 (though I don’t know if we’ll actually get a refund as I remember reading something somewhere that said if the education-related credits/deductions is greater than the tax you owe, you will not receive the difference as a refund – either way, I’m happy we don’t have to pay the $1500). The IRS site had a relatively easy-to-understand info page about education-related deductions/credits. Thanks I didn’t know about the retirement tax credit and I’m sure that my AGI will be under $25,000. I dont know how much I contributed to my IRA in 2007, yet. But I don’t think that it was $2000, maybe $1200. Could I file my taxes, get the refund, contribute the remaining I need to reach $2000 for 2007 then refile with the adjusted amount? Would this even be worth it? OMG, I want to dance in the street (too bad it is rush hour!). I had did an estimated outlook of my taxes and was going to owe nearly $2000. The only deduction/credit that I had yet to add into the mix was the stuff from our college. Anyway, I ended up getting over $1900 in the Lifetime Learning Credit, and the deductions knocked out the rest putting us into a $265 refund. There will probably be some other deductions, but I can sleep peacefully knowing I don’t have to come up with that much for taxes. The closest I’ve come to calculating the state sales tax has been to take the tabled value and then add on sales tax associated with the purchase of a car (you’re allowed to add on certain large transactions even if you use the estimated value from the sales tax table). Thanks! You saved me $135 already. My tax program had the retirement tax credit available, but for whatever reason it did not present it to me by default. Ron: You are correct. I noted the Hope and Lifetime Learning credits under the section on higher education expenses, though I didn’t provide any details. I don’t remember the amount, but if you make below a certain level, I think you can take some of your education expenses as a CREDIT. As you know, credits are much better than deductions!